George Grosman singer and guitarist session musician and music recordings in Jazz, Rhythm and Blues, Oldies, Standards, guitar, performances, Florida, Georgia, Orlando. 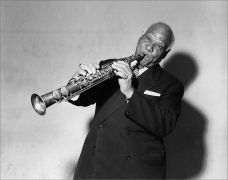 He is available for performance, events, reunions, dances, solo and in his bands playing Gypsy, jazz, classic vocal songs. Born in Prague, the city of a hundred spires, George has spent the last five decades living and playing music on three continents. He holds a music diploma from the Royal College of Music in London and a Master's degree from the University of Essex. In late 2011, sponsored by the late great guitar legend, Larry Coryell, George relocated from Toronto, Canada, to the US and is now active on the Central Florida music scene. He has worked as a solo artist for Disney at the Port Orleans Resort in Orlando, he leads a jazz combo, The Fire Jass Trio that has a Wednesday night residency at the Fire Restaurant in Winter Haven, FL and he is very active with his band Swing Boutique, playing "Parisian café music" - anything from Django Reinhardt to Edith Piaf to musette waltzes. 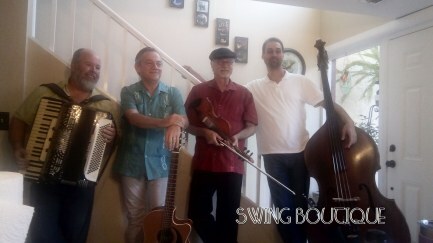 Swing Boutique has a regular gig at the Ground Floor Farm in Stuart, FL. George is active as a studio guitarist and vocalist, working for Full Sail University and other studios in Orlando and vicinity. He also travels to Canada a few times a year to perform with his six piece swing band, Bohemian Swing. The band performed at the 2016 and 2017 Toronto Jazz Festival and is a frequent guest in the Nocturnes in the City series, (more information about the series in the Czech language), a prestigious series of classical music and jazz concerts. George is a prolific songwriter and producer - his CD's are available on iTunes, Amazon and CD Baby and all the other usual outlets. 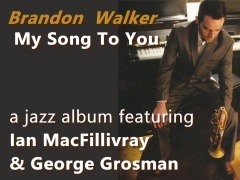 You can hear his music on jazz stations across North America, such as WUCF (Orlando), WBUR (Boston), KNTU (Dallas), CJRT (Toronto), on satellite radio, on Spotify and on all the streaming outlets. He has written music for TV and film and has composed for and produced various artists such as vocalist Amy Rivard, vocalist Lynda Covello and trumpet player Ian MacGillivray.. George's music publishing company CornerMusic is registered with ASCAP. To see where George is playing this week, go to the Gigs page. 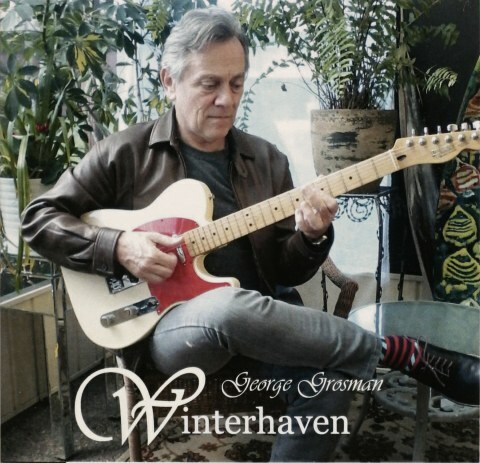 Great locations for music, dance, dining and night clubs concert with a live band, come back to George Grosman, singer, guitar and original songs, singing website. Dine out and have entertainment for the evening, with a real music band and live musicians, please check for performance local to you on the gigs page. This is updated to match this week's clubs and restaurants in the Orlando area in Florida. Some concerts are other nearby towns and clubs. Events and special parties with music are listed every week.